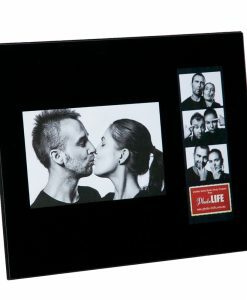 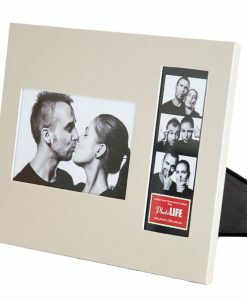 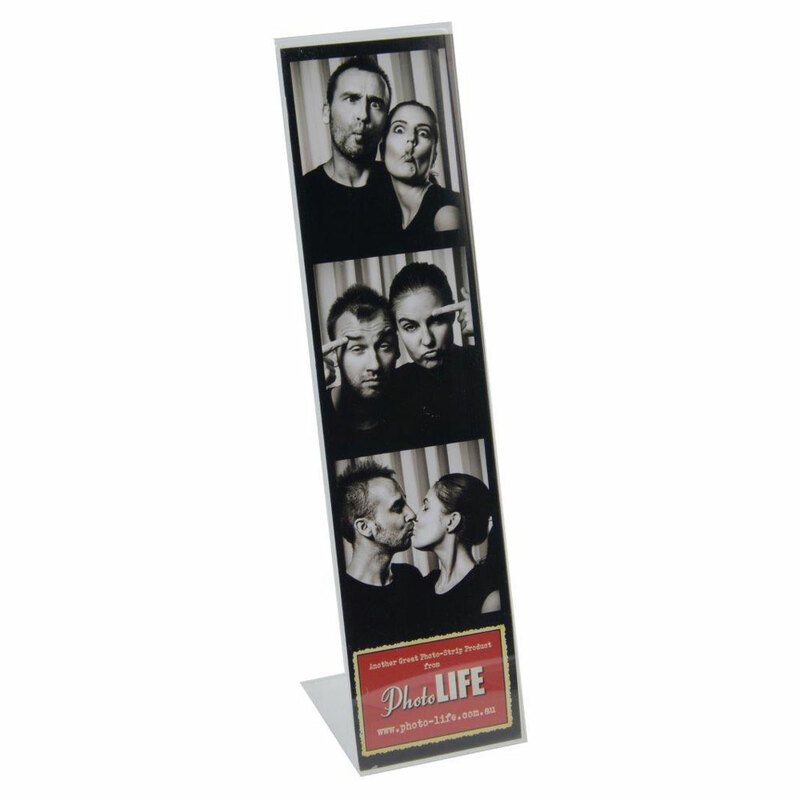 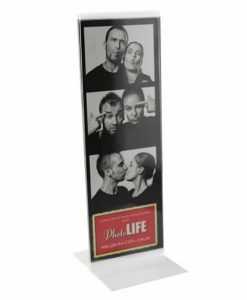 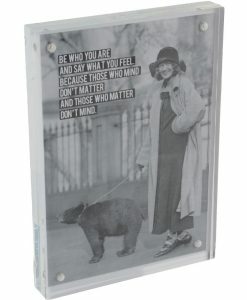 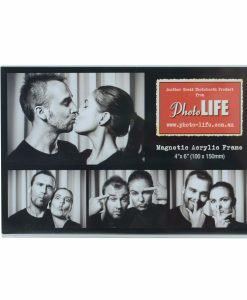 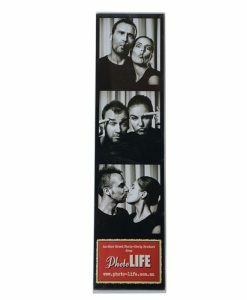 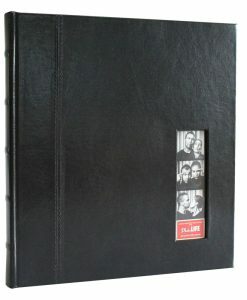 Looking for a large dimension Photostrip Frame, these frames are designed specifically for the larger 2×8″ photostrips (check with your operator) Display your photobooth photostrips in these acrylic L shaped frames. 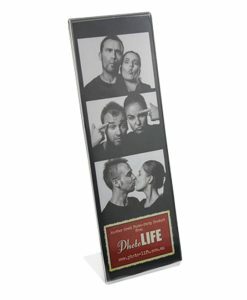 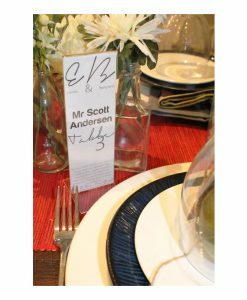 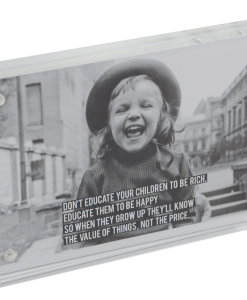 Suitable for any decor or theme, these slightly angled frames display your photo strips at home or on your desk at work. 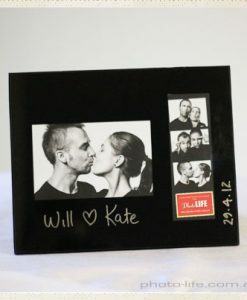 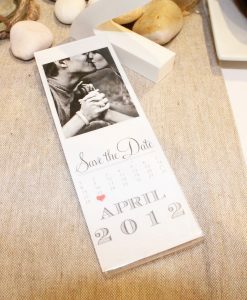 These frames are an excellent bonbonniere choice, they can be used as table marker for your wedding table and then guests can insert their favourite image from your photobooth and take them home as a gift.